We may have seen the end of an era with Friday’s last-ever NASA shuttle launch. But a new age is upon us that could prove equally profound: This week, surgeons successfully complete the first-ever transplant of a bodily organ grown entirely in a lab. The historic surgery took place at Karolinska University hospital in Sweden. The 36-year-old cancer patient received a new windpipe, which was grown entirely from the man’s own stem cells over the course of two days prior to the surgery. 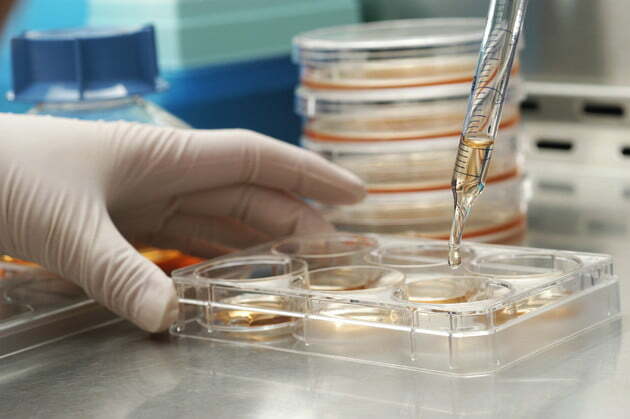 Doctors have successfully grown windpipes from stem cells in the lab before. Prior attempts have, however, made use of “collagen ‘skeletons’ of donated tracheas,” reports the Guardian. For this organ growth, scientists used a “Y-shaped synthetic trachea scaffold” developed by Professor Paolo Macchiarini, a regenerative medicine expert, and Professor Alexander Seifalian, of University College London. The synthetic scaffold was constructed from a “nanocomposite” polymer material, much like plastic, that contained the microscopic building blocks necessary for organ growth. Within two days, the scientists had created a whole new trachea for the patient. One of the primary implications of this medical feat is that it could usher an end to the organ waiting lists that leave dying people in a torturous limbo. Some never get the organ they need at all. If generating bodily organs can become a commonplace procedure, everyone would have the organ they need. And because they are grown from the patient’s own cells, there is no risk that the body will reject the new organ, a risk present even for those lucky enough to receive the organ they need to survive. The patient that received the lab-grown trachea is reportedly doing well, and is said to have already been discharged from the hospital.